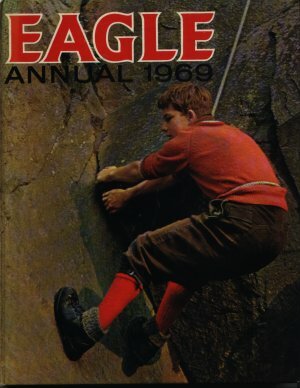 Eagle Annual 1969 introduces some new characters and continues with the old favourites too. A cutaway drawing shows H.M.S. Victory in full detail. Mickey Merlin appears for the first time, with pink paper as his background. Go rock climbing - without a helmet !